I was thrilled when I heard about the TSO’s Relaxed Performance initiative. The more inclusive symphony concerts are, the better – and I love how the TSO, along with standard repertoire, is putting on concerts to appeal to wider audiences such as film fans, children, and others. I recently interviewed TSO Chief Executive Officer Matthew Loden about the Relaxed Performance coming up later this month. Over the years, I remembered seeing Assistant Principal Cellist Winona Zelenka at events with her daughter Kathryn, who wears sound-blocking headphones. I wondered if Kathryn would benefit from this kind of programming, so I fired off a few questions to Winona as a follow-up. What was your reaction when the TSO announced the Relaxed Performance? 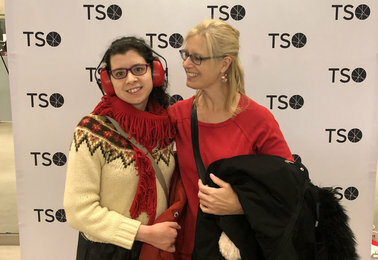 I was absolutely thrilled when I found out that the TSO was going to have a relaxed performance for people who are neuro-atypical, such as on the autism spectrum. I had seen a few years ago that the Dallas Symphony had done such a performance, and wished as a musician in the TSO that we would jump on board and make classical music more accessible for children and adults who have difficulties in a typical concert setting. This is great, as it affects you both personally and professionally. Tell us about your daughter. Kathryn is 23, and is on the autism spectrum. When she was younger especially, she had some unusual behaviors that made it difficult for her to sit through a classical children’s concert; she can’t tolerate certain loud noises and she would become very anxious just imagining that a loud sound might come, and therefore she would act out her anxiety with these behaviors. Now she wears noise- canceling headphones, but she still likes to be able to leave a performance and come back in when she needs to. I’m glad there is a comfortable setting for Kathryn, and anyone who needs to get up and move about during classical concerts. Is this something you think your daughter would enjoy? I think my daughter would love this kind of performance, because she would know that she can just be herself, and not feel self-conscious about anything like having to move further away from the sound of the orchestra. Thanks for sharing your thoughts, Winona! 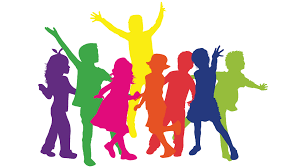 The Relaxed Performance of “Let’s Dance” takes place Saturday, April 27, 2019, at 11 am. The concert repeats at 2 pm, but it is a “regular” version of the concert (“non-Relaxed”), at Roy Thomson Hall. The repertoire is varied and dance-inspired from classical to Bhangra, and features conductor Daniel Bartholomew-Poyser and the Joy of Dance Centre. And for tickets, please click here.